What are your plans for summer while the kids are out of school? My kiddo finished off his first year of school and I must say he did an excellent job learning! 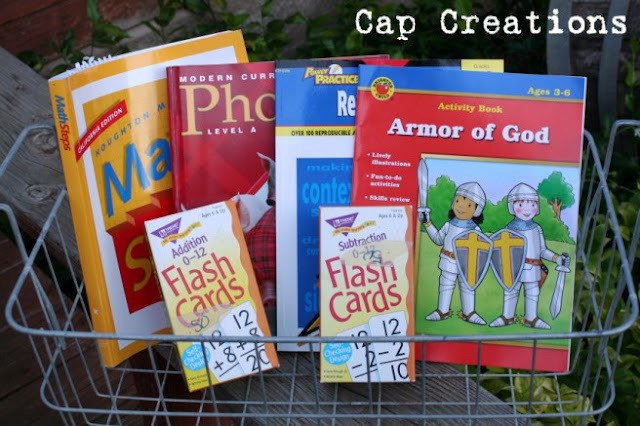 Part of our summer plans include more learning. I want to keep him sharp for next year. There are reading programs around town but they are big bucks and only last about an hour a day. I figured we could set aside an hour or more a day plus all the other stuff we get in like stories and arts/crafts and such. I went to a local school supply and picked up one reading workbook, the other books and flash cards we already had or were his unfinished workbooks from school. 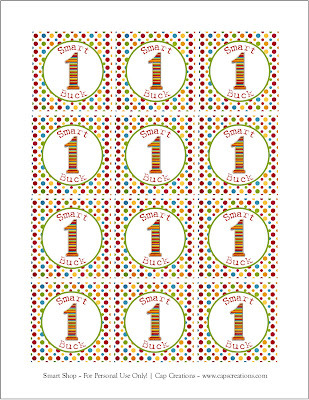 I also have a little one that we are working on numbers, letters, shapes and colors with. 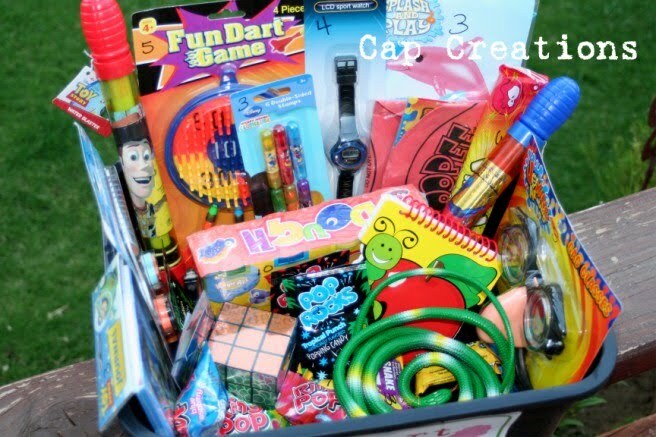 Because it is summer I want to keep this fun and motivate them, so I went to the dollar store and got "prizes" and put prices on them and placed them in a tub (also from the dollar store). 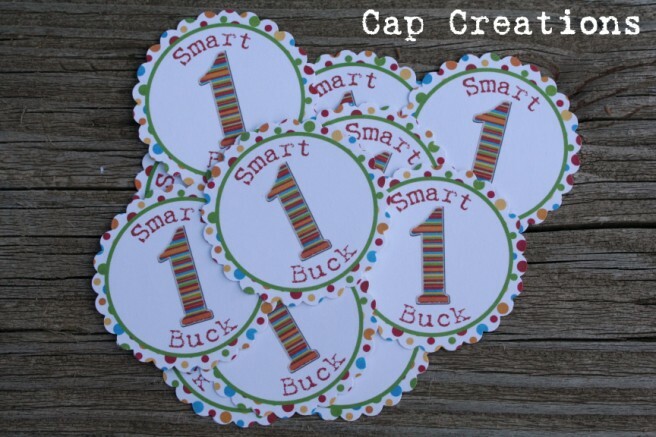 Each day they earn a Smart Buck for learning! 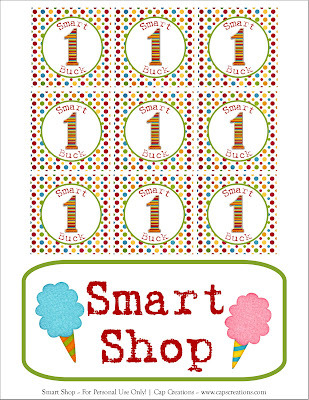 And at the end of the week we open up the Smart Shop and they buy prizes with their Smart Bucks! They can save their bucks for bigger items, use them all or even combine them together, the choice is theirs. They love this, my oldest even does the math to see what he'll have at the end of the week, what he'll have if he combines them with this brother and so on. 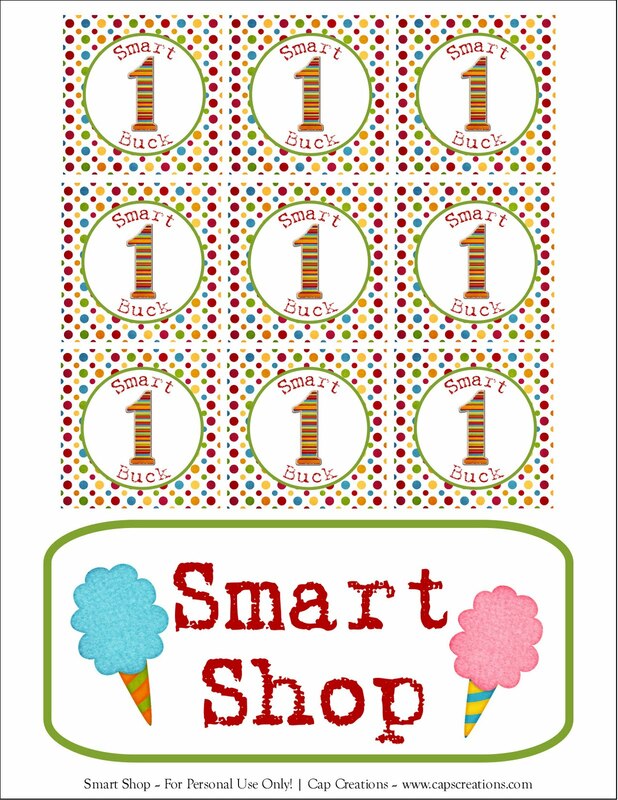 I have included the Smart Bucks and Smart Shop sign (made with elements from Just So Scrappy) for you to print and use if you like. 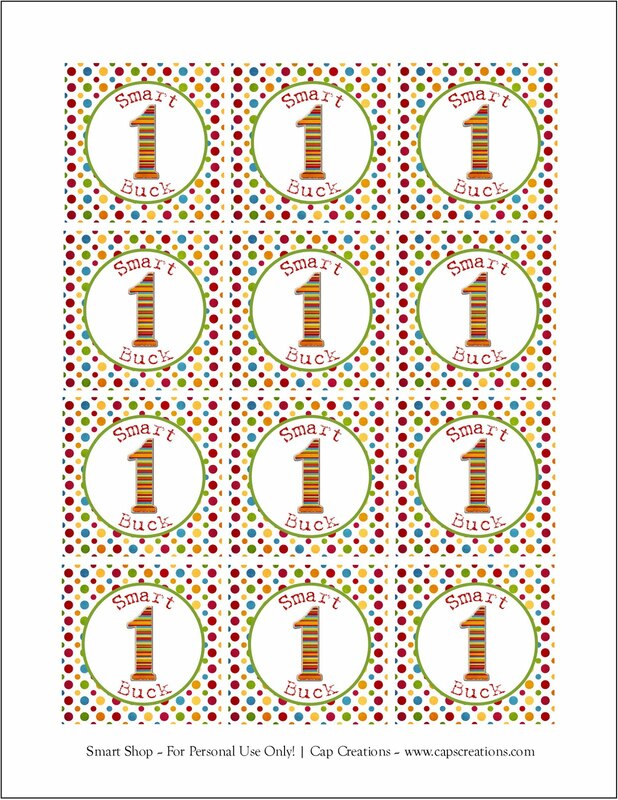 Click on the images below to enlarge, click on them again to enlarge even more, save it to your computer and print on 8.5 x 11 card stock. 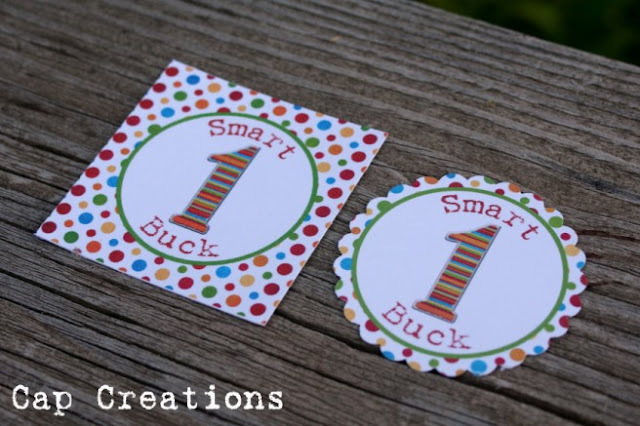 You can cut the bucks out as squares or punch them out with a jumbo punch. 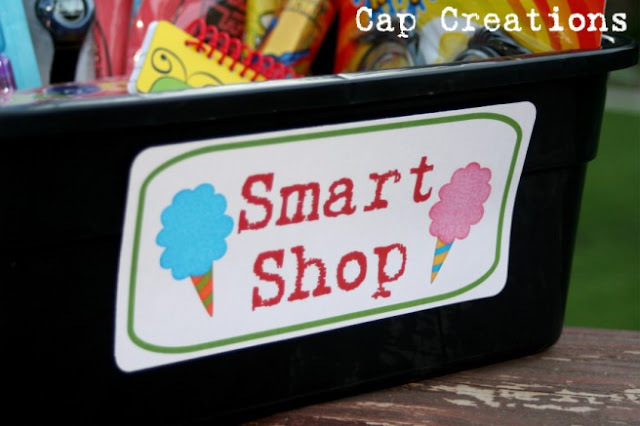 Our other plans include baking, arts and crafts, local library events going on for the summer, we have a local movie theater offering free kid movies 2 days a week and another theater offering $1 kid movies 2 days a week. Swimming, playing, and of course taking it easy and lounging. So what plans can you offer to our list? Cute designs! Sounds like a great idea! that is an awesome idea! you make wanting to learn fun and exciting :) great job mom! my plans are reading, sewing, take my kids to the beach, movies, and bbq and what ever else just comes up. What a great idea! I would have loved this as a kid. How darling and what a good idea... this would help my kids get motivated. Thanks! What a great idea! Lucky kids!! !